As we get older, most of us are fighting to keep our minds healthy just as much as our body. One practice helps you do both: Tai Chi. Tai Chi is an ancient martial art that was first practiced 500 years ago in China. If you ask people who practice it, they’ll say it has at least that many benefits. Reynolds says when the organs are in harmony you feel better. She also says it helps with muscle tone, bone health, regulates blood pressure and ultimately boosts the immune system. She recommends Tai Chi for all age groups, but says it can be really good for seniors. “There are so many studies that have been done when it comes to balance and also shingles, osteoarthritis, osteoporosis,” she continued. “It will help you age gracefully and help ward off illness.” Tai Chi can be done sitting or standing so it’s not like yoga which can be tough for people who have a hard time doing floor exercises. 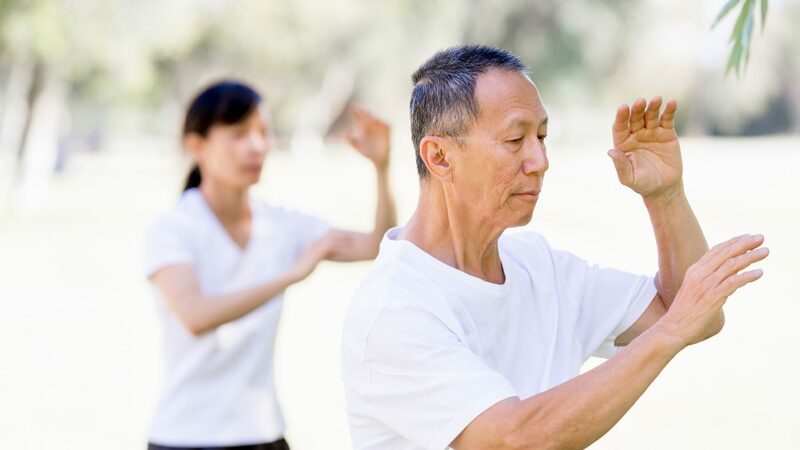 Ironwood Cancer & Research Centers offers several free Tai Chi classes in Chandler, Scottsdale, and Glendale regularly throughout every month. These classes are all free and open to the public. For additional information please call the Integrative Services department with Ironwood Cancer & Research Centers at 480-314-6660. Ironwood Cancer & Research Centers would like to thank our Tai Chi instructor Roxanne, her students, the staff of CBS 5 This Morning, and reporter Heidi Goitia for participation in this segment.